From preschoolers to college, we have you covered! We have a good selection of gifts for grad for all ages - or we can wrap up money if that is what you are giving! It's that time of year - graduation! 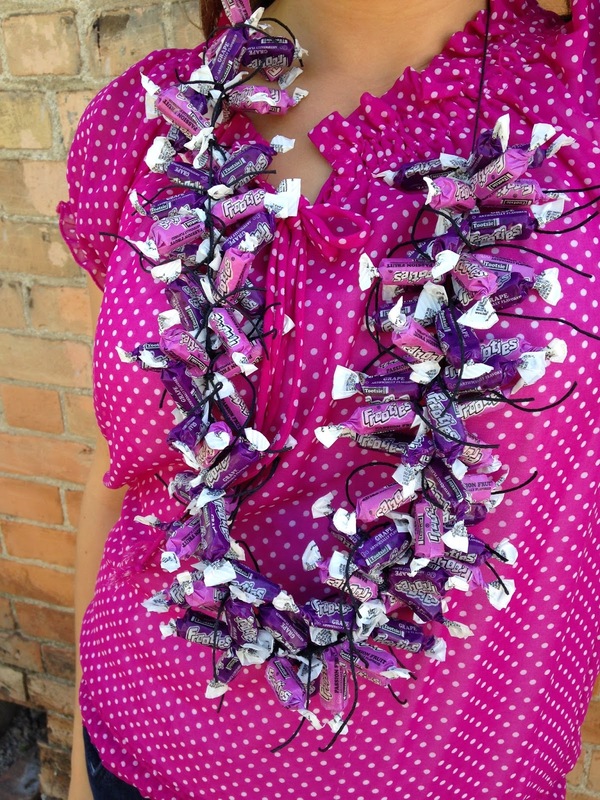 We are making candy leis like crazy and wanted to share some easy, fun ideas! This one is fairly time consuming, but the end result is so fun! We took 3 frooties at a time and tied them together, and then tied them to the main string, alternating colors. We chose good ole Lehi purple, but this would also be cute in a rainbow of colors, chocolate brown, or of course, the school's colors! Careful - this one was hard on my finger - lots of knot tying! 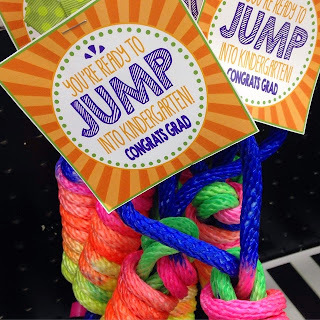 This is a new favorite this year - a simple chunky patterned ribbon with a candy Pop Rocks attached, with a bright tag saying "YOU ROCK - Congratulations!" This is a refreshing new look that we are loving, and so are the customers! Who doesn't love rainbows and bubblegum?! This would be perfect for your preschooler or kindergartener's graduation, and we made it a little shorter just for the little ones. We've added a little bow on the side to add some flair! We thought we'd throw it back to a few of our past Studio 5 segments for some great ideas and inspiration! We will be sharing some more ideas for all sorts of awesome CANDY leis for graduations on MONDAY, MAY 5 on Studio 5! Don't miss it, we have some really cute and easy ideas coming your way!